, then certainly you’re aware of the $400 Death Star. Not quite in your budget? 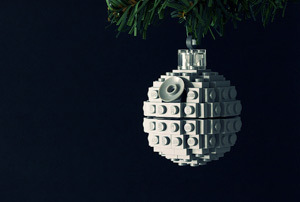 Then try the Death Star ornament. Chris McVeigh has posted on his site the complete build instructions.